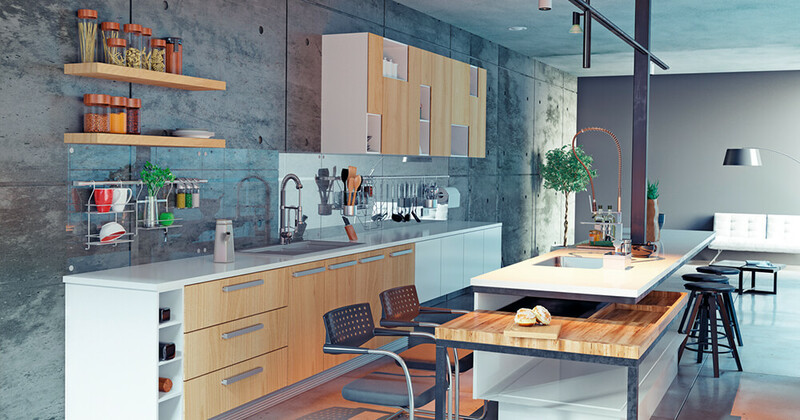 Kitchens are one of my favourite spaces to makeover and not because I like to cook (I don’t) - but because in an era where open plan living still reigns supreme, kitchens are the backbone to our homes and central to how we live, writes The Block's Carlene Duffy. Because of that, until recently, homeowners have been fearful of doing anything too out of the box in their kitchens, worried about growing tired of the look and concerned that potential buyers will be scared off, come resale. Because of this fear, all we saw was white kitchen cabinetry and glass splashbacks - every kitchen looked the same. But now, I’m happy to report that those days are over with some new kitchen design trends and movements shaking up the world of interior design. We recently installed floating timber shelves in our own kitchen and the effect is beautiful. It was for a few reasons that I opted for open shelving as opposed to overheads. I don’t love how overhead cabinets impede on the space. I’m a collector and I wanted another flat surface to display items I have collected and love to look at. We have enough closed storage. You see, we have a large kitchen already and once our renovations are complete we will also have a butler’s pantry so the cost of more closed storage seemed pointless and excessive. I really love this development in kitchen cabinetry. Vertical timber panelled sheeting has long been used in homes and traditionally hails from classical country interiors. In Queensland we call it VJ panelling. Either way, it’s being used in very modern settings, putting a new spin on classical design. Ikea are even selling vertical panelled fronts as part of their kitchen range if you can’t be bothered with a custom cabinetry. I’m so excited about this because if I see another white kitchen I might cry. Yes, white is safe but I’m done with safe. I want to see some personality in kitchens. Sage green, emerald green, olive, navy blue, teal, powder blue, charcoal, canary yellow… done well, kitchens can really handle far more colour than many would first think. 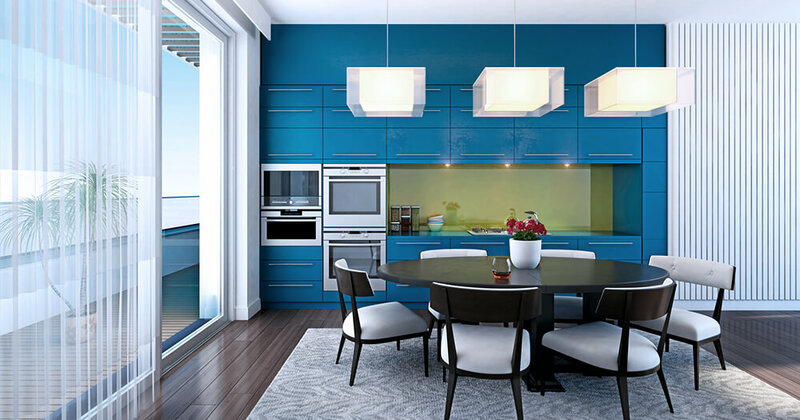 Lack of confidence in home design is evident in safe kitchens, so add some colour to your life. It needn’t be bright or bold if that’s not your jam - but just try and think beyond white. Marble in kitchens, in general, isn’t something I would refer to as a super new trend – it was a couple of years ago it started to gain momentum. 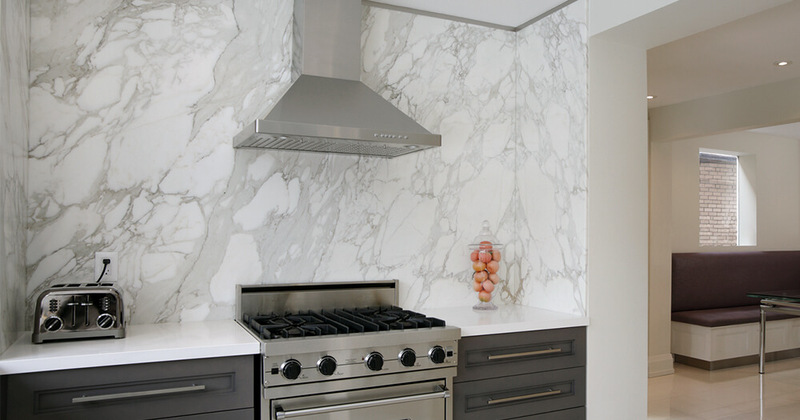 But where we were initially only bold enough to use Carrara marble which consists of a subtle grey vein, Calacutta, Statuario and New York marble are made up of darker, bolder and more beautiful veins, thereby making a much bigger impression in kitchen designs. Some are even bold enough to go to the dark side and are very effectively using black marble on their countertops. Marble has become so popular that engineered stone companies are mimicking the marble look and at a more cost effective price. Aesthetically, engineered stone doesn’t compare to the real thing, but it is undoubtedly more durable than marble, which is soft, porous and easily damaged. So I’m OK to say it’s the next best thing. In fact, I frequently recommend it to clients as a very good alternative. 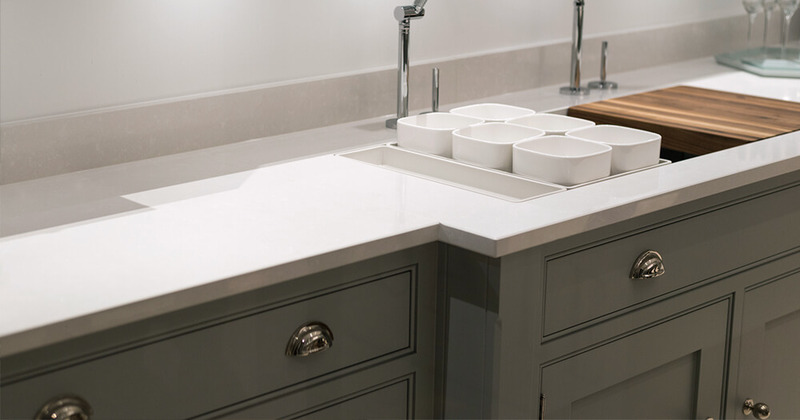 We’ve seen the movement of shark nose cabinet fronts (no handles) for a clean and seamless effect but those days are behind us as we are favouring handles that are designed to make a mark. This can mean anything from aged brass ornate knobs to Scandi-style leather pulls, classical bronze shell handles, and contemporary turned timber handles. Our need for seamlessness is being replaced for our need to deliver something a bit different, something interesting, something original. In fairness, the popularity of wall lights isn’t specific to kitchens - the movement is sweeping home interior spaces everywhere. But it’s still refreshing to see wall lights used in the kitchen in replacement of overhead ceiling lights, for something just a bit different. Not everyone has enough distance between their ceiling and roof to have down lights, so good-looking wall lights on your splashback can be effective for both form and function. Only a year ago there was a big gaping hole in the market for these. The good news on this is that retailers are finally responding to the growing demand for wall lights and producing some very good-looking pieces. Undoubtedly, study nooks have become an incredibly popular addition to kitchen design. I’m personally in two minds about whether I want a study nook or not in our own kitchen. There’s no denying that I use my laptop on my kitchen bench a lot but will I actually sit down at a stool at a study nook? I’m not sure. Do I want a space designed for work in the centre of my house? I’m not sure. Is it another space that will collect clutter? Possibly. We will most likely create our study nook off of our kitchen rather than in it, because there is enough going on in our kitchen already. 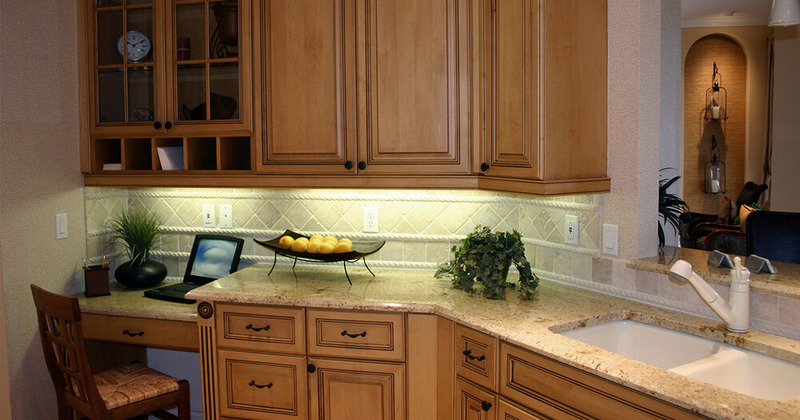 But it can certainly be worth considering a nook in your kitchen design, depending on how you live. Island benches in kitchens are nothing new, but because homeowners are finding themselves spending so much time in their kitchen, island benches that drop down to dining tables are becoming increasingly desirable. Sure, the breakfast bar works just fine but if you’re like me, you prefer to sit on a dining chair than a bar stool. More than that though, it’s actually a really effective, good looking design which adds interest and dimension to your kitchen. The idea is also very practical for homes where space is a premium and where it’s otherwise difficult to fit a dining table. Want to learn more about being a successful Interior Designer? Check out career advice from Australia's design experts here.